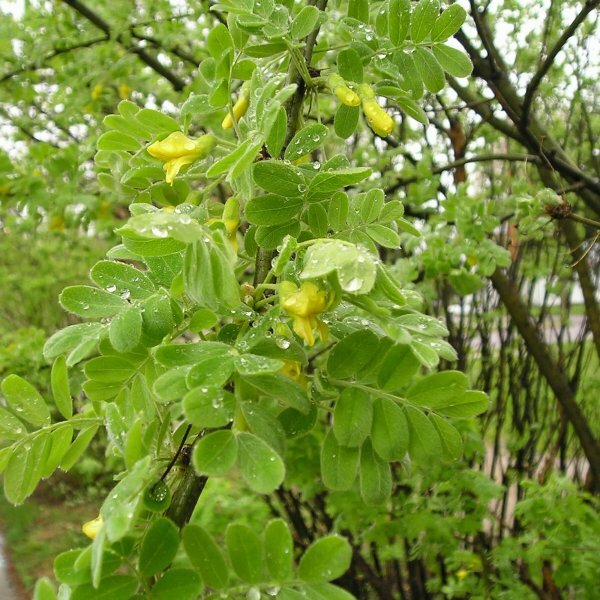 A medium size shrub native to northern Asia. 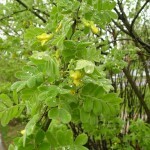 It is similar to Caragana arborescens but much lower and more spreading in habit. Some records include: fastest recorded growth rate - 1.5 feet; 10 years - 10 x 10 feet; largest on record - 10 x 10 feet. 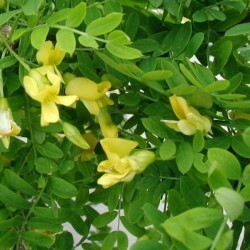 The pinnate leaves are composed of 12 to 18 leaflets, up to 0.5 inches in length. 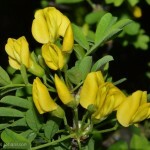 The yellow flowers either single or in pairs late spring into early summer. Germination 1. Soak seeds in warm water for 12 hours. 2. Cold stratify for 30 days in moist vermiculite or sterile soil/sand in airtight ziplock bags. Keep it in the fridge at +2-+4C. 3. Sow seeds 2-4 mm deep in moist soil, tamp the soil. Germination normally fast - within 2-4 weeks.